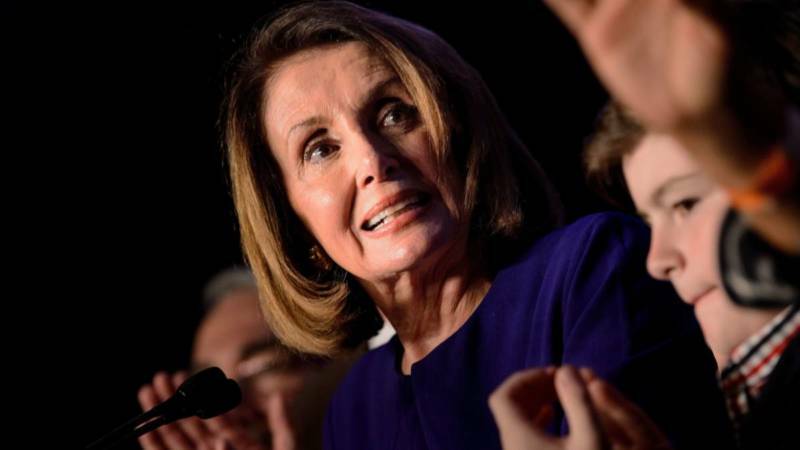 The congressional leader said that the new Democratic House majority will seek bipartisanship with Republicans, a comment that echoed what Trump himself had conveyed in his own post-election press conference. Pelosi said that she had worked well with President George W. Bush during her previous term as speaker of the House, and wrapped her prepared remarks by quoting former GOP President Ronald Reagan. She said that she spoke with Trump on election night, and that they had specifically discussed working together on the issue of infrastructure spending. Democrats plan to act as a check on President Trump and his administration, starting with votes on campaign finance reform and government oversight legislation. "Each one of those successes will now be under attack with a Pelosi-led House. We have a responsibility to protect our constituents from higher taxes and increasing government control over their lives. And we need to lay the groundwork to regain the majority so that we can continue working alongside President Trump to fulfill our promise to fundamentally change Washington."